One pipe connection piece "Uno"
OVENTROP-One pipe connection piece "Uno"
For one pipe central heating and cooling systems PN 10 with closed circuits. One pipe heating systems with outputs up to 8,000 Watt per circuit. Flow temperature up to 120 °C. With infinitely adjustable bypass and shut off. Radiator share: 35% (factory setting), adjustabl between 20 % and 50 %. 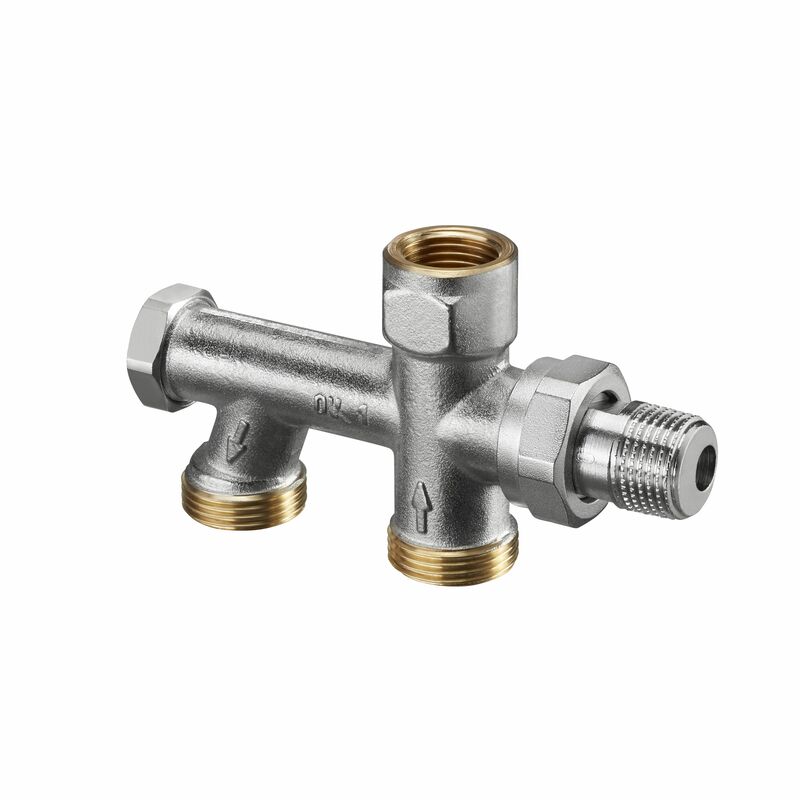 Brass fitting with nickel plated body, for threaded and and compression connections, with radiator isolating fitting.